Loss-of-value insurance coverage protects the future earnings of promising college athletes, who are projected to feature highly in the NFL, NBA, MLB or NHL drafts. The coverage is typically purchased as an add-on to a permanent total disability insurance policy, and is meant to protect against the potential adverse impact a serious injury or illness might have on an athlete’s future earnings. How does loss-of-value insurance coverage work? 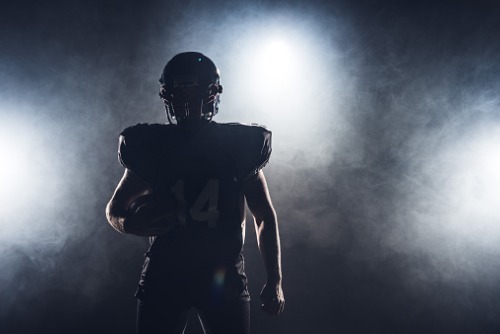 The first thing underwriters must do is determine an athlete’s eligibility for loss-of-value coverage based on where they’re expected to be in the draft. Only athletes expected to feature early in the draft are likely to get coverage, and underwriters typically offer coverage limits between $1 million and $10 million based on the projected draft position. According to the National Collegiate Athletic Association (NCAA), the next thing underwriters will do is set a loss-of-value threshold, which is usually around 50-60% of the athletes projected rookie contract. For example, if a player’s projected rookie contract is four years and $10 million in total, they might multiply $10 million by 60% to work out a total loss-of-value threshold of $6 million. Some insurers break that down to an average amount per year, which, in this case, would be $1.5 million annual loss-of-value threshold. If an athlete experiences a significant injury or illness and then receives a contract that’s lower in value than initially projected, they might be eligible for a loss-of-value benefit. Using the example of the $10 million contract with the $6 million loss-of-value threshold above, if the athlete is only actually offered a $5 million contract as a result of injury, they might be eligible for a loss-of-value benefit of $1 million. Why might a claim not be paid? Loss-of-value insurance coverage will only be paid if an athlete loses contract value as a direct result of an injury or illness – and proving that direct link can be difficult. For example, an athlete might drop down in the draft after poor performances during the season or at pre-draft events. Furthermore, a rival athlete might suddenly find form and jump up in value. There are many factors in contention and many arguments insurers can make to avoid paying a claim. Which carriers write loss-of-value insurance? In 2015, Jacksonville Jaguars wide receiver Marqise Lee sued Lloyd’s of London after the market refused to pay a loss-of-value insurance claim worth millions. In 2013, Lee paid a premium of $94,600 to Lloyd’s to cover him should he fall in the draft to a contract worth less than $9.6 million. Less than two weeks later, he injured his left knee and never fully regained his position as the nation’s top receiver. In the 2014 NFL draft, Lee was the overall 39th pick by the Jaguars, who offered him a four-year deal worth $5.17 million, about $4.5 million short of the policy’s guarantee. Lloyd’s denied Lee’s claim arguing that he concealed, misrepresented or omitted pertinent medical information that would have caused the policy to never take effect. Lloyd’s refunded his premium, plus interest, and asked the court to rule the policy never applied. In July 2018, Philadelphia Eagles offensive lineman Chance Warmack became the first NFL player in history to collect on a loss-of-value insurance policy. According to an ESPN report, 26-year-old Warmack took out an insurance policy with Lloyd’s of London that would allow him to cash in if his second contract with the NFL was less than $20 million. The offensive lineman was the number 10 pick by the Tennessee Titans in the 2013 draft. He stayed with the Titans for four years before they declined his fifth-year offer of $11.09 million in March 2016. That decision followed a hand injury, which cost Warmack 14 games in the 2015 season. Warmack then signed a one-year deal worth $1.5 million with the Philadelphia Eagles in March 2017. The value of the deal, significantly less than $20 million, meant he could file a claim with Lloyd’s of London on his loss-of-value insurance policy. He received the maximum payout of about $3 million.